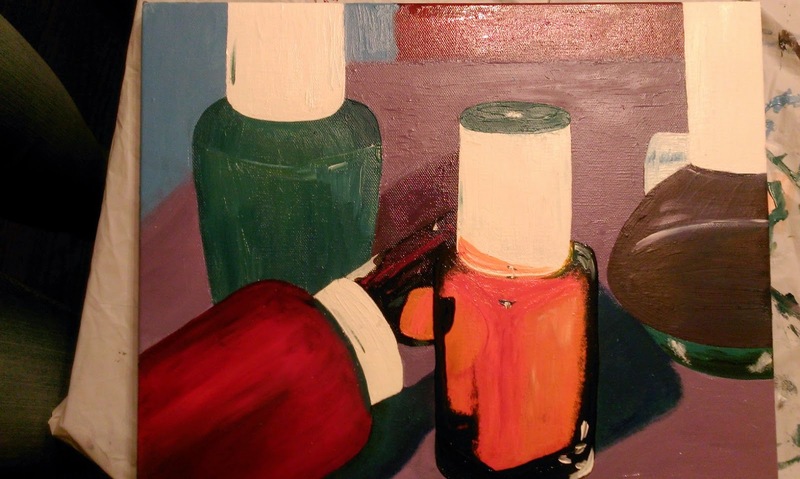 For my object painting, which we had had to do in oils, I chose a picture of nail polish bottles. I then added a filter to the picture to alter the colors and make it look more abstract. 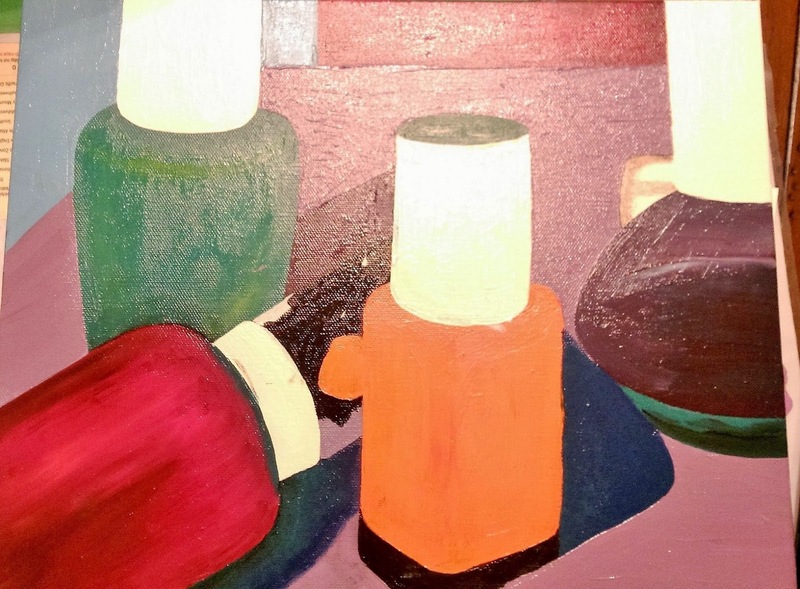 I have never really liked oil paints both because of how thick the paint is and how much patience is required. I started by putting down the white paint to make the necks of the bottles stand out and then laid down the basic colors. On the red/ pink bottle I used a variety of reds and oranges to get the different colors throughout. On the purple bottle, I used dark and light paint to get the different purples in the glass. The orange bottle I found the hardest because of the black around the edge of the bottle and the many reflecting colors in the glass. I decided to just try and paint it exactly as I saw it because it usually gets the best results. I am still not entirely finished because I need to add more detail to the other bottles so that the orange one doesn't look so out of place.